Although it may feel like it, your TV is not smarter than you. Between terms like 4K and HDR and wading through the endless streaming services offered such as Netflix, Hulu, Crackle, and Vevo, preparing to relax and watch some good old TV may feel like studying for an anatomy final. The tradeoff of being able to watch anything you want, whenever you want, is definitely the loss of simplicity. Today, you can watch your political documentary or your obscure French subtitled film in the middle of the day on your iPad in the bathtub if you choose. The days of getting stuck with Judge Judy are over. Here is a quick guide to help you navigate the land of streaming devices. 4K: Known as Ultra High Definition (UHD-1). TVs with this resolution have 3840 x 2160 pixels and twice the horizontal and vertical resolution of the 1080 HD TV. HDR: Known as High Dynamic Range. Most new TVs offer this feature with greater contrast ratio and color accuracy. Many reviewers claim the color palette of the TV is more important than the pixel resolution as the HDR makes for a more realistic picture. From your TV: Your best option here, according to many reviewers, is through a streaming device such as Roku Premier. Many TVs come equipped with smart features but have limited options for streaming services. If you want more variety, ease, and compatibility to your 4K HDR TV (now you know what that means! ), then this product beats out the competition. Why you’ll like it: Ease. A menu of all of your available streaming services will appear. 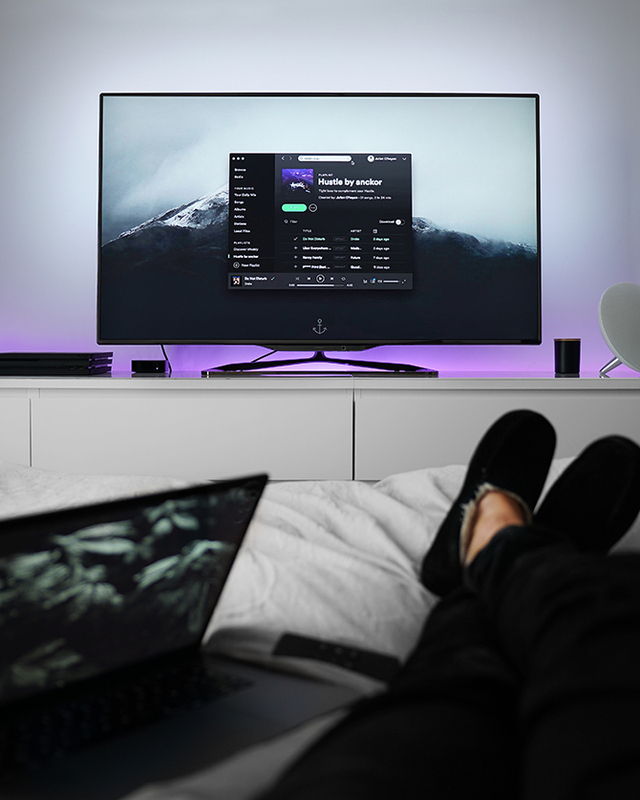 You can turn the TV on with the remote and search for programs in seconds, and it offers features such as night sound, which allows you to stream media quietly. This means loud sounds like explosions are decreased. Suggestion: If you have an older TV, downgrade to a cheaper Roku box to stream your 1080p HDTV.